Learning to dance can be a life-changing experience. Having the ability and knowledge to lead or follow any partner gives you a confidence you never thought you would have. Never again will you have to sit on the sidelines running purse or drink security all while your friends are out dancing. No longer will you have to be an expert at making lame excuses when people ask you to dance. To opt out of a dance will be a choice, not an embarrassing story. But since you will know how to dance you won’t want to opt out and will likely find yourself asking others to dance! Alas there is hope! Here are 10 myths about learning to dance… BUSTED! Your instructor is here for you! There is nothing more exciting than teaching a new student how much fun dance can be, especially when they are new to dancing! With each lesson comes success. The only thing that could disappoint your instructor is if you don’t try, so give it all you’ve got! Eventually…yes, but when you are first learning, not at all. In most schools each student is learning with their own instructor. So even if you are on the same floor with several people, rest assured they are as focused on what they are learning as you are on what you are learning. And as for dancing in front of people, that will eventually happen, but the goal is to get you to that place where you can dance like no one is watching. We get it. Your vision does not involve you in tight Latin pants, wearing a silky half buttoned shirt with your chest hair out. Nor does it have you half naked, in a short skirt and revealing top, completely covered in sequins. 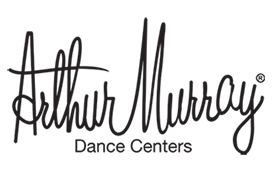 We understand you just want to feel confident enough to dance at a friend’s wedding or business function. Or maybe this is a date night or new hobby. No matter what your vision is, your instructor will adapt to it. And that’s why you are amazing at spinning left! In all seriousness, 2 left feet usually translates to “I’m clumsy”. Good news, so are most dancers! The difference is they have spent more time developing knowledge, skills and balance to dance on their two left feet. Although the 80’s montage taught us that we get good at anything in 1 song or less, I recommend you work through at least 2 songs before you’ve mastered it! All kidding aside, dancing is like learning a language. If you want to just learn survivor skills you want to work at it for a short period of time, but if you want to be fluent it may take a little longer. Everyone learns at their own pace, you will get it! We are half way there. 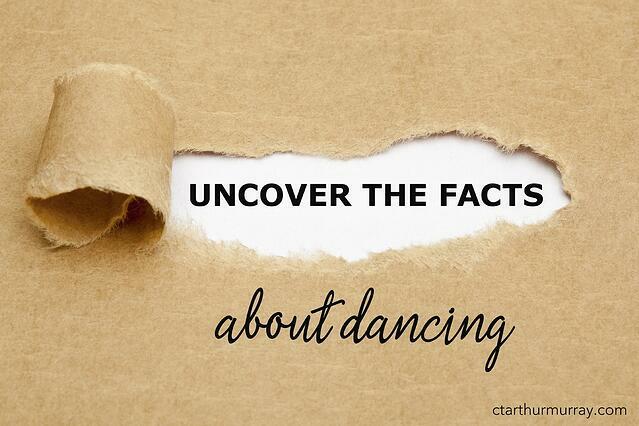 Let us know if you have busted any of the above myths in your dance experience. See you next week with the final 5! Going on a cruise? Five reasons to take dance lessons first!